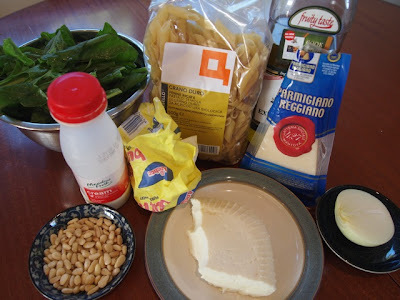 I had some leftover fresh ricotta, and what better way to use it than the classic pairing with spinach. 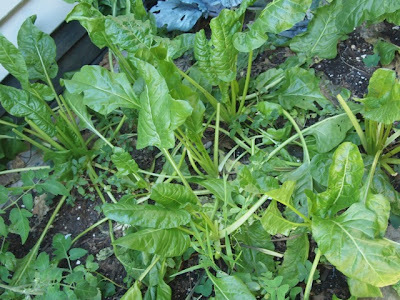 I have a scraggly patch of perpetual spinach in the garden, – it’s super easy to grow, needs no care and free spinach for months (maybe even years)! 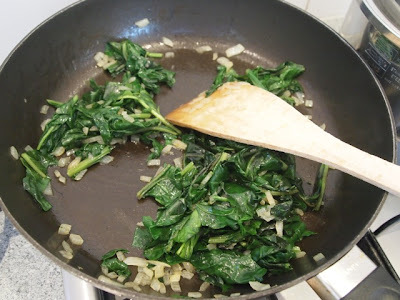 Wash spinach well. Remove stems, then tear or cut into pieces. 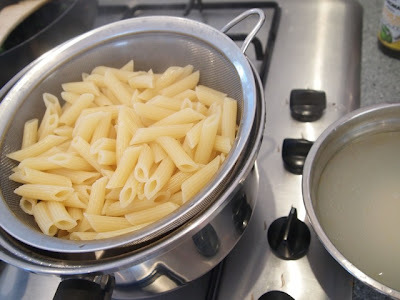 Cook pasta until very al dente. Drain, and reserve a cup of pasta water. 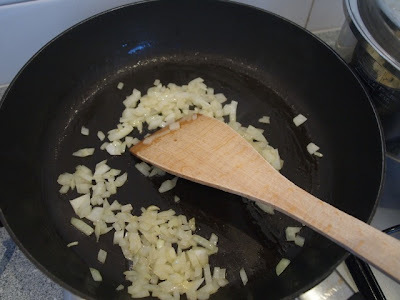 Cook onion with a tbsp. of olive oil until soft. 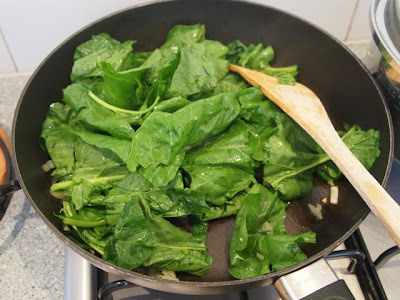 Then add in handfuls of spinach and cook until wilted. 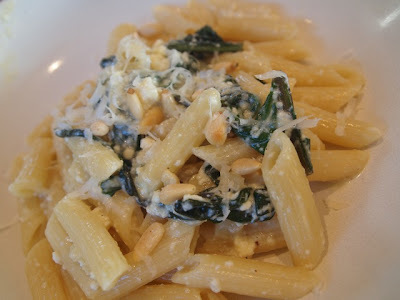 Toss in pasta, ricotta and butter. Stir until well mixed. 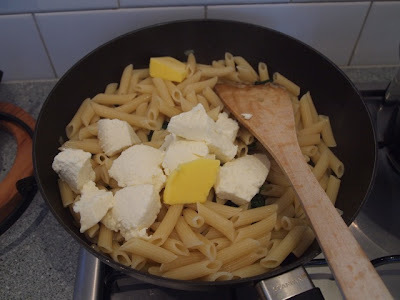 Add in ¾ cup of pasta water, cream and parmesan, and cook over medium heat until creamy. Mix pine nuts through just before serving. Garnish with more shavings of parmesan. Scrumptious! Mmm…looks good, cilipadi! 😀 Can't wait to see what surprises you have in store for us next week.